Joe Eichenseer, IMAGINiT Technologies’S Building Solutions Team Manager, posts an overview of the new quantity take-off features of Navisworks 2014. It would seem to me that QTO is going to remain as-is for the foreseeable future. Updates will be made as needed to maintain functionality with current Autodesk software releases, and there might be an opportunity to enhance the 2D takeoff features of QTO as time moves on. However, it would appear that the focus of development for 3D or Model takeoff has migrated over to Navisworks. Anyone who has QTO as a stand-alone product can continue working as they are today, but if you do 3D takeoffs, you will need to keep an eye on the developments of Quantification in Navisworks. At some point, you will probably want to make the transition from one to the other. If you have QTO through a suite (and have that software on subscription), you will have access to both the Navisworks 2014 quantification workflow and the QTO 2013 workflow. This entry was posted in BIM Software and tagged Autodesk, navisworks on April 20, 2013 by rumbelom. March 22, 2013 — The first four products to receive the new-style buildingSMART certification 2.0 were recognised at the international meetings of buildingSMART in Waltham, MA, US on 12 March 2013. The certification acknowledges that the products have been tested and shown to comply with the IFC open standards for the functions specified within the testing environment. The four successful products are Autodesk Revit Architecture, GRAPHISOFT ArchiCAD, NEMETSCHEK Allplan and NEMETSCHEK Scia Engineer, which received certification for their export functionality. Other products are still in the process of being tested and audited. Certified products can display the buildingSMART certification logo on their packaging. This entry was posted in BIM in Construction, BIM Software and tagged ArchiCAD, Autodesk, IFC, Nemestschek on March 29, 2013 by rumbelom. This article was written by Autodesk’s Sander Lijbers, and first appeared in a Dutch CAD Magazine in October 2012. 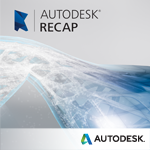 As it provides a useful viewpoint on interoperability across Autodesk AEC technologies, it has been re-published (in English) for a wider audience. This entry was posted in BIM Collaboration, BIM Software and tagged Autodesk on February 13, 2013 by rumbelom.